There is a lot of controversy surrounding the idea of learning a physical art, sport, or self defense system through an online medium. And, as always, the martial arts world is leading the charge in the collection of individuals either on one far end of “learning martial arts online is a total joke” to “learning martial arts online is even better than in a dojo.” It is quite true that learning martial arts online, or through a distance learning (home study) program of any sort can be challenging. 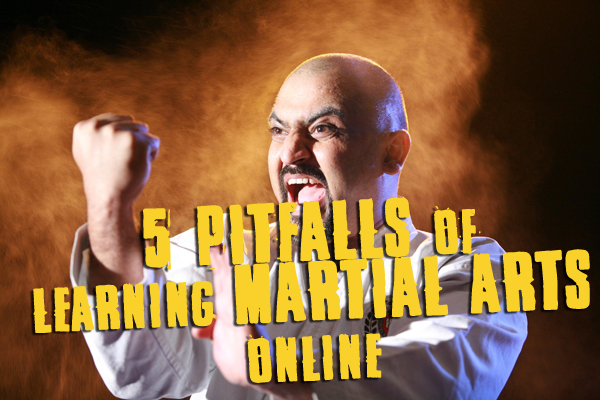 Here are the five major pitfalls to take into consideration in regards to learning a martial arts system online. Lack of correction from an instructor as you train. Clearly if you are at home watching a video, or following any sort of home-study material, you do not have the actual living and breathing instructor there with you. You may start to practice a kick to wrong way from the get-go, and then do it wrong forever. Maybe you are trying to learn a kata, and you just cannot figure a certain turn in the form. Or, you are trying to apply a pressure point to your friend, it is not working…until he falls over cold! 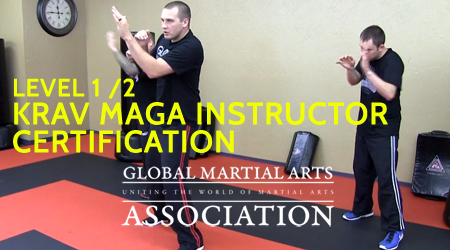 When you take a live martial arts group class, or even live private lesson, you have the big advantage of receiving corrections and tips on the fly. Rather than doing something wrong and developing a bad habit in your muscle memory, you can have it modified. If you tend to be in a larger group class, however, it is possible that you may get skipped over quite often, and not actually receive the one-on-one attention you’d like. How we correct this: To create the best feedback loop possible, we have created a system that allows us to give you corrections and feedback along your training journey. If you have any specific questions along the way, you can always message your instructor. In our new upgraded/evolved online university, the Global Martial Arts University, we will have even more tools for instructor support and checking-in with their students. For example, each time you log your training session in the online student journal, you will enter the date you practiced, for how long, a brief description of what you did, and you can attach a photo or video. If you have a quick question about a self defense move, you could film yourself for 1-2 minutes doing the technique, and attach it to the journal. Your instructor will get a notification that you have logged a session in your journal, and that a video is attached. Your instructor will then review it, and most likely film a quick “reply video” showing you how it is done properly. Another way that we help correct you and provide feedback (that we already do for every Black Belt at Home student), is to provide a video feedback after each rank exam. After reviewing your complete video test, your grading instructor will film himself demonstrating any specific corrections, modifications, constructive criticism, praise, and overall feedback for you to take back into you practice sessions. No training partners or live bodies to practice with. This can be a huge pitfall, especially if you are learning a very “hands-on” martial art like BJJ or Krav Maga. Of course, an argument can be made that every martial art is hands-on, but some in particular, are much more difficult to practice solo. When you are doing an online program, you are on your own to figure out how to practice correctly, which can lead to making mistakes and not practicing with full intensity and realism. When you attend a group class, you get to meet other people, try things on different size bodies and strengths, which can help to prepare you more for the real world of varied body types. How we correct this: First of all, we have created our video training lessons and classes with this in mind. We realize that you are practicing at home, either alone, or with a training partner (even if it is just a family member that is helping to attack you, or do some place-holder style maneuvers). We have created specialized partner drills, which allow you to properly do “live-body” practice with a person, whoever it may be. We also offer modified drill ideas for using hanging bags, couch pillows, walls, the floor, and other household items to simulate certain concepts. You need to work with what you have – but in an intuitive, well-considered way. To take this one step further, our new upgraded training courses on the Global Martial Arts University, will have a Student Locator. This student locator will allow you to find other GMAU students who are in your near vicinity. Simply type in your zip code and search. You can then send a private message and ask if they would like to meet up and practice with you, so that you can form a “garage dojo.” We are also going to list all Global Martial Arts Association certified instructors and training centers in your vicinity, so that you can go and train from time to time at one of our local facilities. No accountability or motivation from your instructor and peers. This is another reason why learning martial arts online doesn’t work for most people. They are all excited about the prospect of becoming a black belt, and just by buying some videos and learning in their living room! After a few weeks of learning some stuff here and there, never really pushing themselves to their limit, they kind of fizzle out and put their home-study training on the backburner. This is not really their fault, to some extent. When you attend a local martial arts school, you know that you have a schedule, and you have “pressure” from your peers and instructor to attend regularly. You don’t want to be the guy who missed out on learning a special move, or an awesome workout. You don’t want to be the one who is falling behind and not ready for the upcoming belt test. Your instructor will motivate you and hold you accountable to your goals. How we correct this: We create a personal, one-on-one relationship with each student. Many of our home study students have commented how their training experience with us has actually been better, and more in-depth, detailed as they go along. By getting to know you, your background and past experience, your future goals and situation, we can help keep you on track. With our new website, we are taking this many steps further! When you are training in your course, you can clearly see in a sequential format, what classes and lessons to do next. You can see your running total of minimum training hours in your online student journal. Your instructor will be reviewing your progress via their instructor dashboard, and checking on how often you are watching classes and practicing. 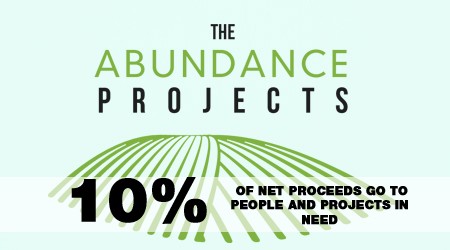 We have created a new system of accountability, which is exactly what you want! Accountability leads to you reaching your goals, which is the whole point, anyways. You will also get support and camaraderie with your peers via the student forum and special live seminar events, in which you can get to know other GMAU students. No new material or weekly classes to keep it fresh. Why do students pay $100-$200 a month to attend a high quality local martial arts school? Is it the mats, the bathrooms, the exercise, the plants in the lobby? The main reasons are to take classes each week. The classes are really the product of a martial arts school. They’ve got to be challenging, progressing, motivating, exciting, and taught by someone who really knows their stuff. 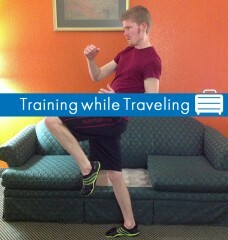 Most online martial arts program don’t offer classes like this, as funny as it sounds. They tend to just have the entire curriculum broken up and taught in little lessons, technique by technique. But, is that how you would learn in a real school? No. You would learn in a fluid class environment. A class usually includes: a warm up, stretching, technique lessons, drills, hitting pads, working with partners, maybe a fun game, some strength exercises, and perhaps even a closing philosophical or guidance lesson of sorts. This is why people pay good money to attend schools, you get a real rich and in-depth learning experience. How we correct this: Our Black Belt at Home courses include some home-training classes inside the program. These allow you to press play and do the class along with the screen. You will then have a great idea of how to create and format your own training classes. But, we’ve decided to take it one step further for our new evolved university, the Global Martial Arts University. If you decide to upgrade to the GMAU, you will get a new full-length class each and every week! Every week you can look forward to seeing your instructor teaching you from start to finish, going through a warm up, doing drills (using pieces of equipment, household items, or partner), games and skills, strength exercises, and other tips. This keeps your training fresh and exciting from day one, until black belt and beyond. Just like you would expect from a local martial arts school. You don’t earn real accredited rank and certification. A potential danger of joining a home study program is…will my rank actually mean anything?! It would be quite terrible to commit years of your life, training, blood, sweat, and tears to receive a black belt and certificate from “XYZ Martial Arts All-Online.” You would feel silly putting it up on the wall, or worse, showing it to potential families if you run your own martial arts school. Most local schools tend to have a traceable lineage and connection with a local and/or international governing body and rank accreditation association. 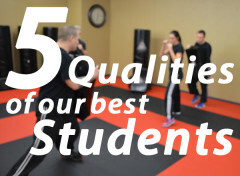 How we correct this: Since we maintain very high standards and necessary qualifications for our home study students, we issue the same exact rank that you would earn if you were to be a student at one of our instructors’ martial arts schools. The certificates do not mention “online” or “home study” anywhere, as that is irrelevant to print on the issued rank. “Online” is simply the platform that you learned through, but it did not change the rank requirements and standards that you completed in order to achieve that rank. All rank issued to Black Belt at Home students is from the Ultimate Training Martial Arts Association, and is also recognized by the Association of Martial Artists World Wide, the Global Martial Arts Association, and every other certified school connected to our organization. As you can see, there can be disadvantages to learning martial arts online. It is important to educate yourself on what could be your downfall, and lead you to learning a lower quality system of study, or not even completing a program due to inconsistencies and missing pieces. We’ve been doing this since 2008, and have constantly improved our systems along the way, and are just getting started! If you are interested in becoming one our students, to begin your new journey to black belt, check out the courses that we offer. Wondering what the Global Martial Arts University is? 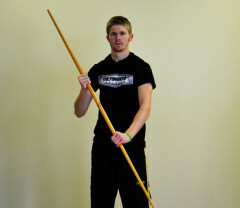 This is the elevated and upgraded form of Black Belt at Home, which is scheduled to launch in a few months. We recommend that you go ahead and purchase one of our current courses to start your training now. Once the GMAU launches, we can migrate you in to the new course, so that you can get all of the new benefits. Clearly, at that point you will need to pay a small monthly tuition, which is the only difference in terms of pricing. The Black Belt at Home courses are a simple one-time payment, and you have the entire course and curriculum at your finger tips today! We look forward to training with you soon, and hope that this article was helpful on your search for a quality online martial arts program. I gotta say training from home is the best idea in the world especially if you don’t have a partner and have a B.O.B. Personally I trained in another online self defense course in old school WWII combatives (SDTS) and love it and then I went for my instructor cert it was easy peasy to learn at home, plus you don’t want to go full bore on your partner. I’m gonna be ordering this system soon as there’s no Krav classes in my area and I’m always looking to expand my skills. I’ve used the videos you have on YouTube and love the format of them and the easiness to follow them. So kudos for the format you have there. I’ve trained in various arts(bjj(green belt), Muay Thai, judo) but never achieved a black belt and with this I’m hoping Krav will be my first black belt! Likewise. I’ve studied many online courses and attended university etc. I’ve also studied at a dojo for 3 years and believe the only difference is you as the learner. This online course, it’s material and contactability with the instructors is excellent. I m new student and don’t know from where j should start!!!! Any one can guide m???? So sorry for the late reply, our notifications were not working. I recommend first deciding on which art you want to learn. Then, dedicate two or three times a week to training; make this time sacred. Next, join a great course, or purchase some books and DVDs. Have a progressive plan and goal in which you want to take your first belt test.